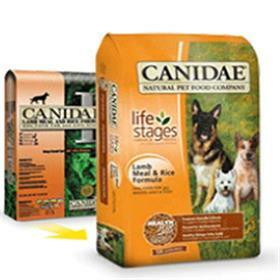 Canidae Lamb & Brown Rice formula meets the AAFCO Dog Nutrient Profiles for all life stages. It's healthy for her and leaves her always wanting more. Highly recommend it and it's worth the cost.